If you're looking for a tank-battling game with unlimited tanks, solid multiplayer, single player campaigns for offline gaming, and awesome graphics then you're in luck because Atypical Games just released their latest action game called Infinite Tanks! 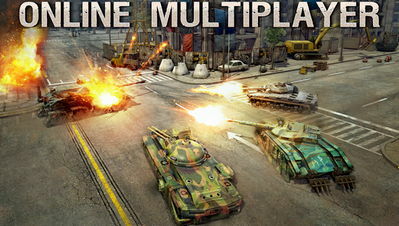 The game has card-based customization system which lets you create infinite combinations of tanks to battle with. 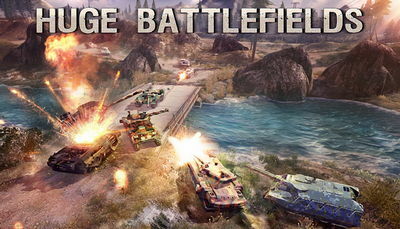 Gameplay overview: You choose a class of tank, equip it with a variety of different weapons, tracks, and bodies, and then head out into a level to blow up enemy tanks as part of a team.. Install Apk, Copy DATA Folder to sdcard/Android/obb , and Launch the Game.